Something that the UK is really missing is a store like Bath & Body Works. I haven't been able to find anywhere in the UK quite like it. It's really affordable and they have so many cute products that we really can't get hold of over here. Whilst I was in Vegas I decided to stock up, and picked out a few different scents of their pocket anti-bacterial gel. They are really handy and they also sell these cute little holders that can clip on to the outside of your bag, so you don't have to go searching for them. 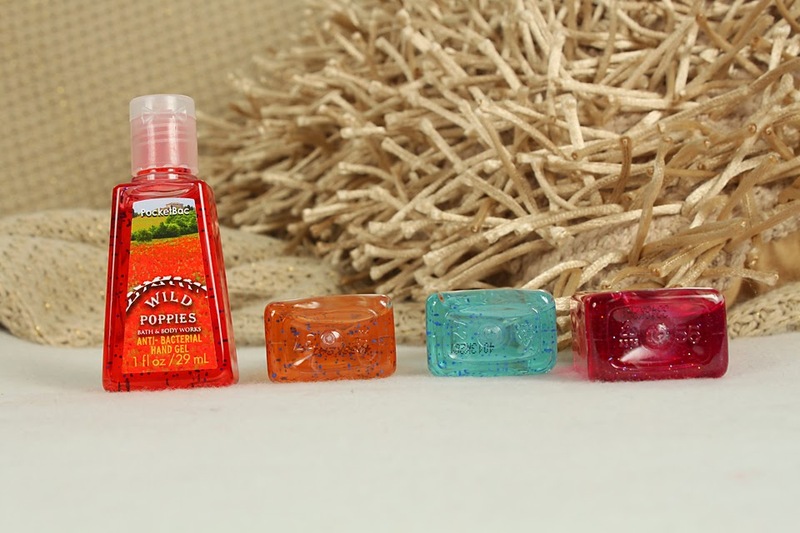 Some of the hand sanitizers I bought are now empties (that I really wish I could repurchase), but these are the ones I'm currently using. Strawberry Parfait smells delicious. It genuinely does smell like a dessert made with the freshest strawberries. The only thing I'm not 100% keen on with this hand gel is the fact it has glitter in it. I thought it looked super cute when I picked it out, but rubbing glitter all over my hands isn't always ideal because it gets just about everywhere. Honolunu Sun reminds me of being lay on a beach on some tropical island. It has little blue beads in it, but they totally dissolve as you rub it in to your hands. Coconut cabana is again another one that reminds me of holiday. If you've been reading my blog for a while, you'll know i'm not all that keen on coconut scented products but I thought it was worth trying. I'm very happy I did as it's not at all overpowering. Again, this one has the little blue beads which completely dissolve as you rub it in to your hands. Last but not least is wild poppies. It doesn't smell as floral as I imagined it would, rather a fresh scent. It has a really faint scent that lasts quite a while on your skin. I love it. One thing I would mention if you're going to buy these scents. If you open them in the store, try the samples on your skin and give it a minute or two before you smell it. They do have a strong anti bacterial smell at first, but this is then replaced with the actual scent which is always much nicer! I really wish I could go back now and pick up their halloween and holiday scents! 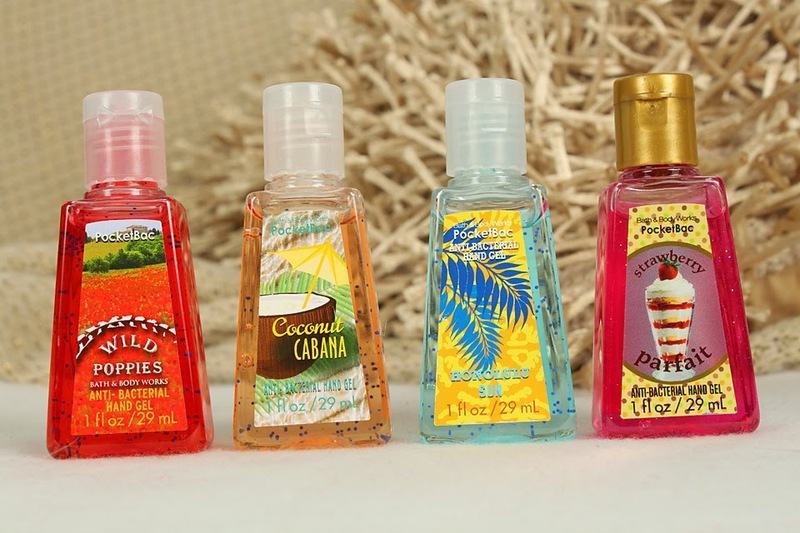 Do you have any of the pocket bac's from bath and body works? If so, which are your favourite scents? Aww how cute! Bless him!!! I can't wait to get the holiday scents. I'm so obsessed...lol!